Good at both single and double temperature (Experico). Partly funded by DFPT. 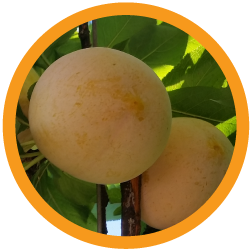 Yellow, round plum with excellent eating quality. Proper thinning to ensure good fruit size.